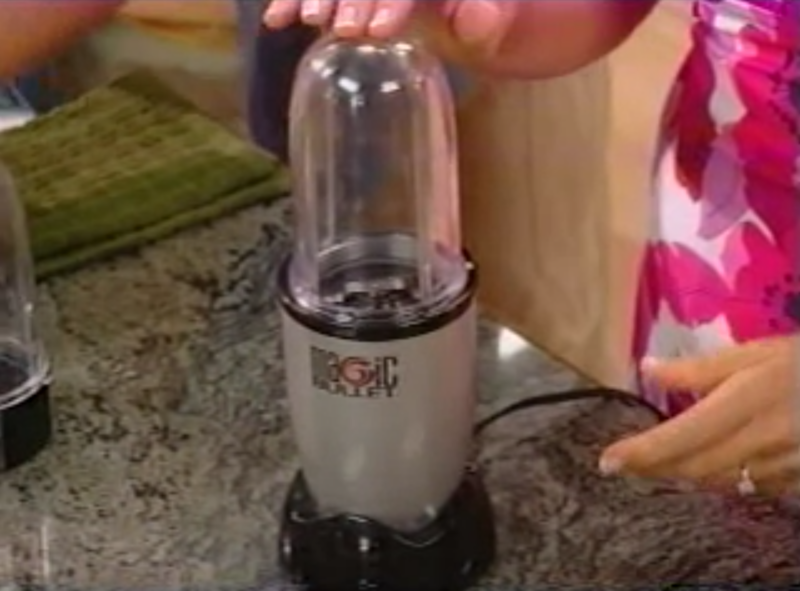 It has long been my position that the half-hour “Magic Bullet” commercial is the gold standard of infomercials. It hits all of the right notes of an infomercial: the hosts are enthusiastic to the point that you suspect they’re on an adjacent level of reality to the rest of us, there’s a strained attempt at a narrative, the product is too good to be true, and the supporting cast does almost as much work selling the product as the hosts. All that said, I’m on my third Magic Bullet and I love it. 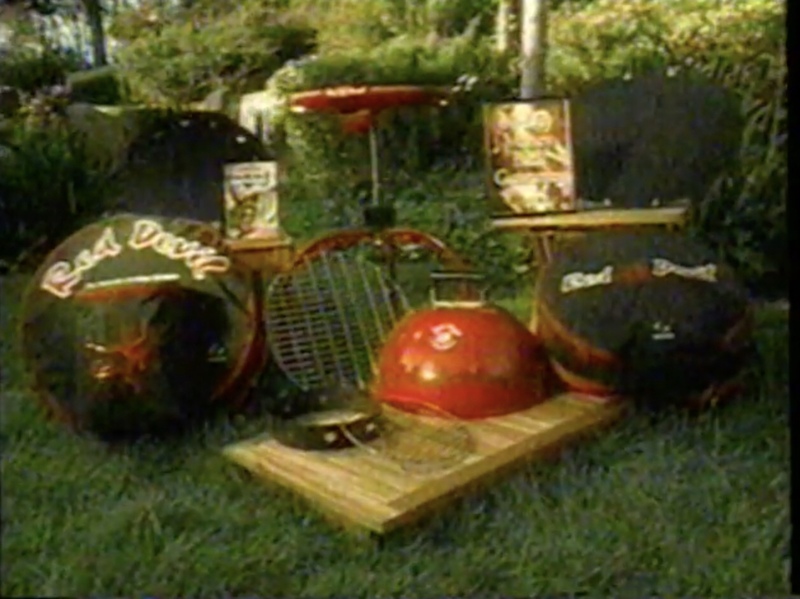 Mick and (a different) Mimi returned to the as-seen-on-TV fray with a follow up product, the Red Devil grill. The approach to the product was the same – create a method of food preparation that would cook anything under the sun using pretty much the same process – and while it doesn’t quite hit all of the notes that the Magic Bullet trilogy hits – there are no Bermans, no Hazels, no weird morning-after slumber parties – but it’s still worth a look. 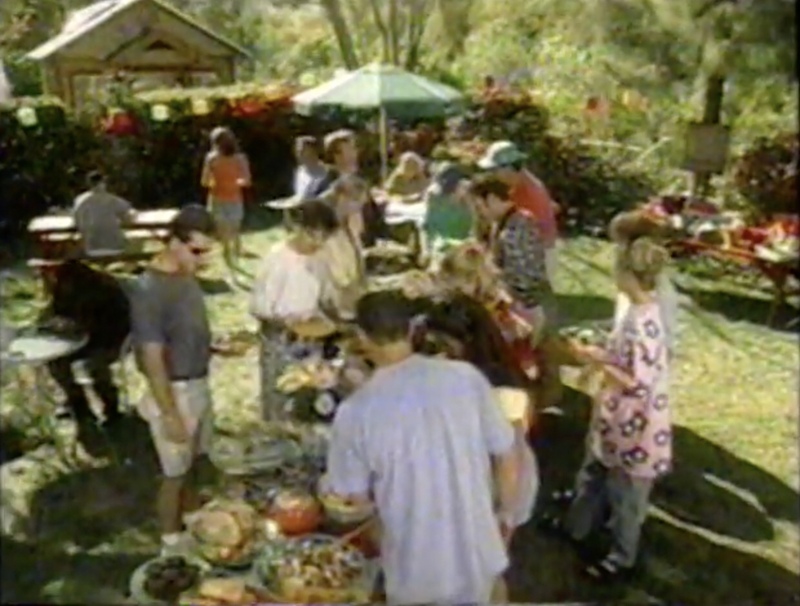 The (thin) premise here is that Mick and Mimi are hosting a backyard barbecue, presumably at their own home. The whole (nameless) neighborhood is there, including one sad sack who’s been relegated to traditional grill duty at a barbecue that he’s not even hosting on a grill that the hosts – presumably the owners of the grill – are about to mock. Mick wastes no time getting to the point – he’s got an amazing new contraption that will make all traditional grills obsolete. 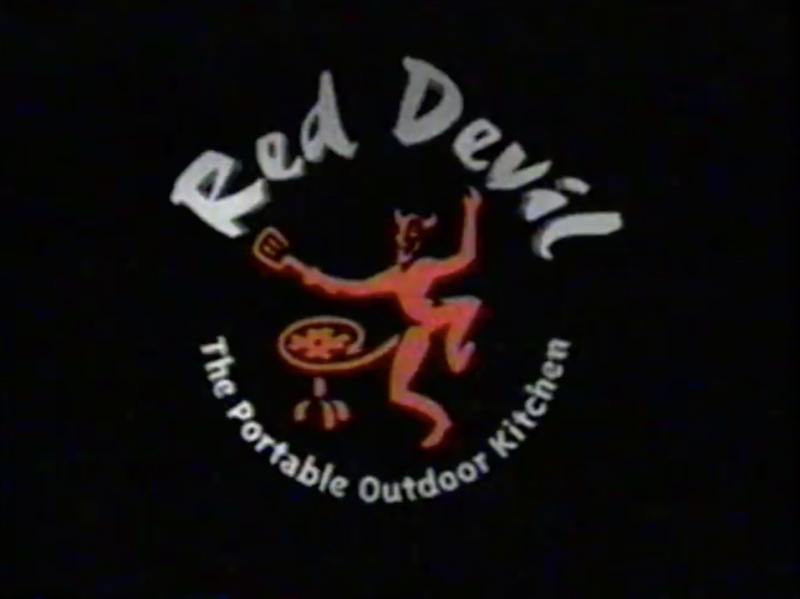 It’s the Red Devil, a gas-powered contraption that stands on three rickety legs and transforms from a grill to a wok to an oven with (hot) ease. 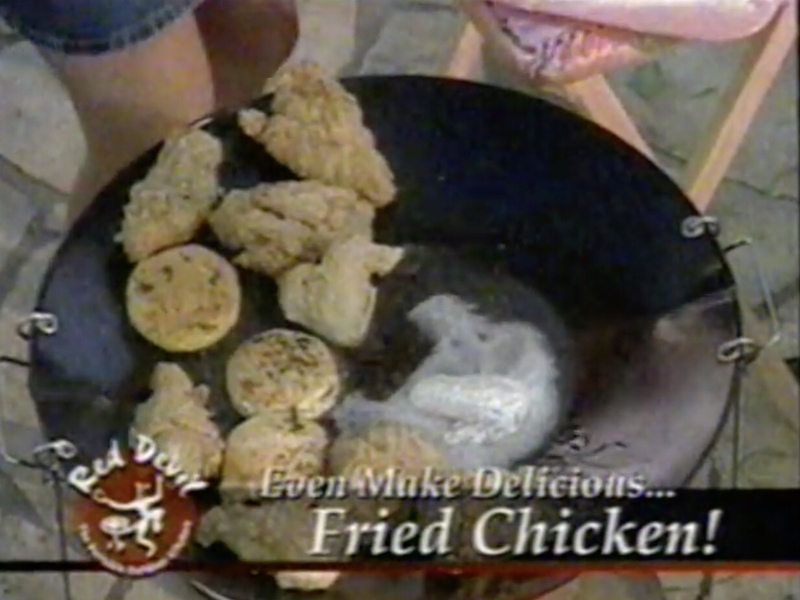 Mick and Mimi trade off cooking demos throughout the video, and the food starts to pile up. I really feel for whoever’s job it was to dress the food up to look appetizing; they didn’t, but it was probably because they couldn’t. All of this food is straight-up unattractive. 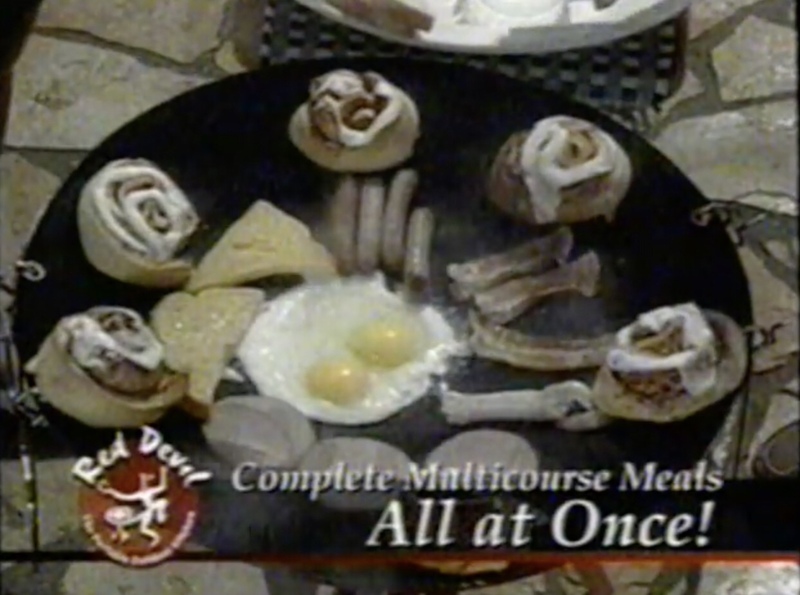 And nobody needs this much breakfast. And then they add cinnamon rolls? …then Mimi blows minds by pulling a cooked lobster from a huge boiling pot that nobody noticed until this point. 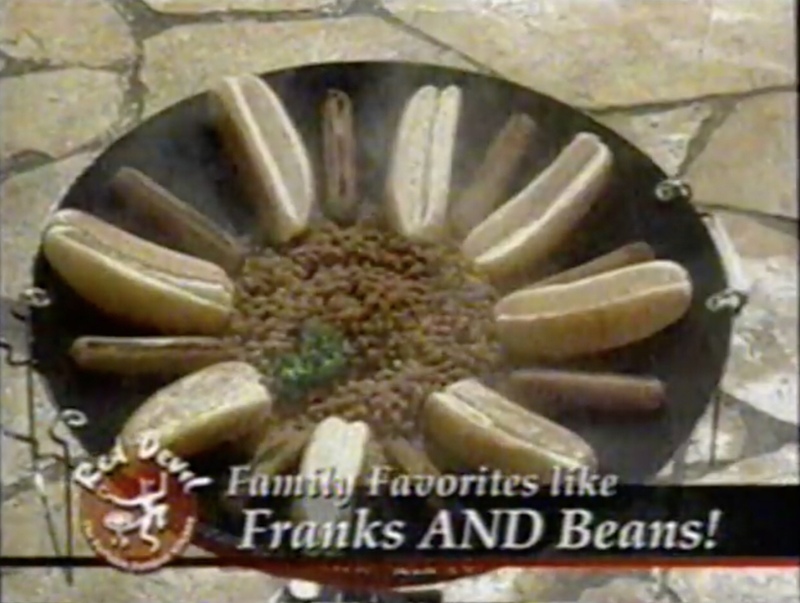 This is easily the climax of the infomercial. Let’s appreciate the savagery on Mimi’s face . The sad sack finally finishes his burgers, oblivious to all that has gone on ten feet away from him, and enthusiastically tries to engage the crowd only to be slapped down immediately by Mick for not cooking the mountain of food that they did. All this guy wanted to do was make food for his friends. It wasn’t even his grill! And that’s it for the Red Devil. 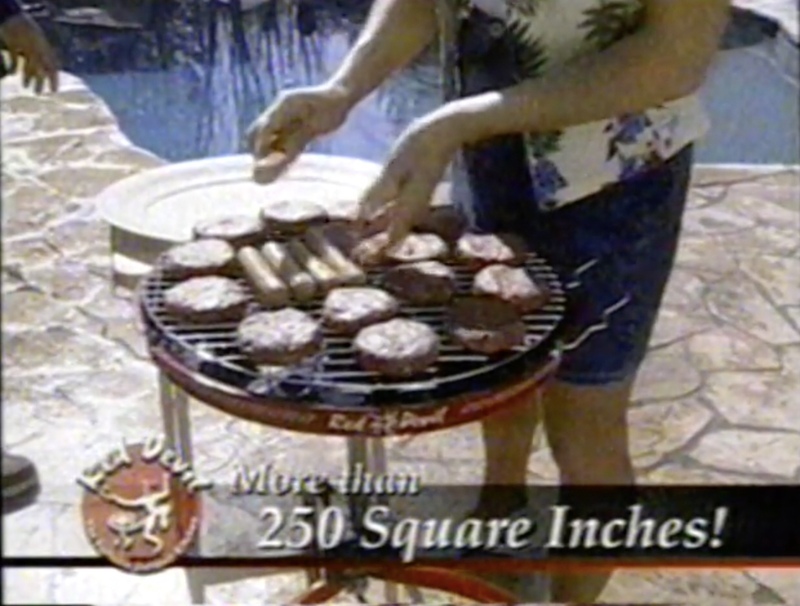 Fun fact: these grills were recalled due to them falling over because of their rickety legs! With that in mind it’s easy to see how carefully Mick and Mimi handle the Red Devil in their demos, while at the same time making an effort to show how ‘simple’ it is to set up/take down/carry around.